The Central Mosque of Songkhla (Central Masjid of Songkhla) is quite an impressive building. The mosque is set in a very quiet and peaceful location. Surrounded by open fields, it is close to the large canals that form part of Hat Yai Cool. Pleasant breezes blow through the mosque giving a little respite to the intense heat that is typical in southern Thailand. 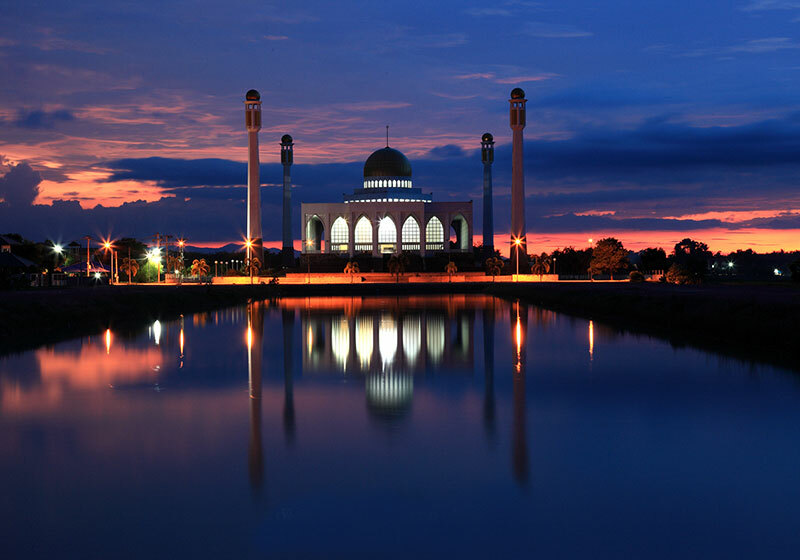 Short Description: The mosque is set in a very quiet and peaceful location. Surrounded by open fields, it is close to the large canals that form part of Hat Yai Cool, pleasant breezes blow through the mosque giving a little respite to the intense heat that is typical in southern Thailand.